I love it when I can use real things IN MY HOUSE to create a beautiful space... Not all of us live in magazine-like houses and I do have a million things in my house other than decor items. 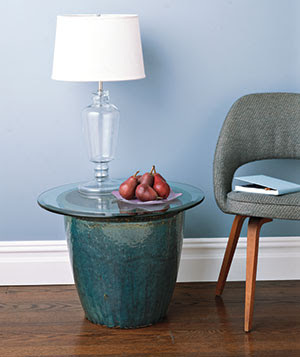 This is refreshing and simple... Look at how a planter has been turned into a side-table!!! Isnt it clever?? 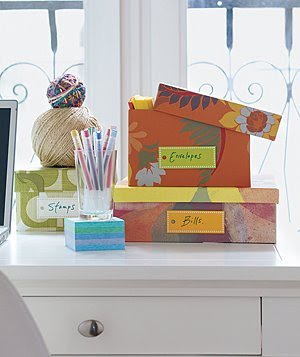 And bellow, by wrapping up some shoe boxes, you can create a brand new space thats fun and functional at the same time, add labels and you will get rid of the mess on your desk forever! The wallpaper of my dreams!!! OH! I want to sit down!!! Little lights... light my way tonight! In search of a quick weekend project? ?